Didn’t I just write something about how every laptop manufacturer out there is trying to outdo one another by making slim and thin devices? While there are still users who will not mind having a clunky lumpy laptop if its performance is really mind blowing, many people look for portability. LG is not joining this slim and thin game with the announcement of the new Blade laptops. The Korean company has officially announced that they are releasing the new laptops later in May. There are two models in this line – the P430 and the P530. The P430 has a 14-inch screen and is only 23.8 mm thick. 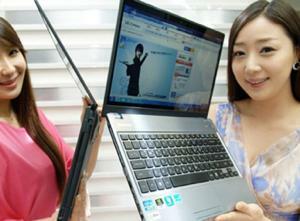 The screen has a depth of 4.5 mm and the entire laptop weighs 1.94 kg. It’s bigger brother, the P530 has a 15.6-inch screen which has a depth of 4.7 mm. This one weighs a little more at 2.2 kg. That is still comparable to many netbooks in the market! Both laptops have the second generation Intel Core i7 processor inside, as well as an Nvidia Graphics GeForce GT520M. This should make for a more than decent performance. Indeed, these laptops might just offer comparable performance to those of much thicker laptops. One thing is notable – the brushed aluminum finish that seems reminiscent of (you guessed it) Apple laptops. As for the lid, the laptops are going to come in blue and black. As of now, other details regarding the specs have not yet been divulged so we have to wait on info such as pricing and the like. One thing’s for sure – by making these Blades, LG is making a statement: they will not be left behind! Privacy is crucial for travelers who need to conduct business with their laptops even while on the road. LG now has an answer to this need with its new LG Display, a new 14.1 inch panel that has a viewing-angle image control feature. The VIC feature allows you to change the viewing angle of the screen on both sides to 60 degrees by just touching the display. The VIC is actually a fourth sub-pixel added to the usual red, blue and green sub-pixels. Expect to see this new display in a few months as production will begin this October. Worldwide electronics manufacturer LG has officially anounced its own entry into the netbook sector of the laptop market. 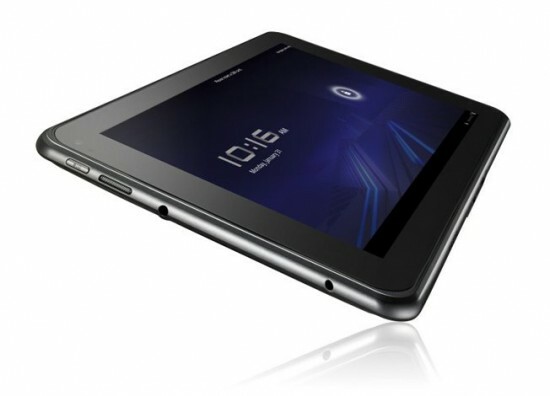 The company will be releasing its X110 Momo a product aimed solely at the growing portable laptop market. The X110 Momo has specs that are very identical to products already available in the market — 1.6Ghz Atom processor, Windows Home Basic, 1.3 megapixel webcam, bluetoot and SD card reader. It will also sport a 10-inch screen. Available colors are black, silver and pink. LG has yet to announce when it will be released but it will most probably be unveiled before the year ends.